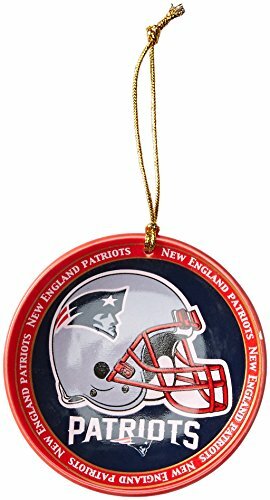 Step up your game this year with some New England Patriots Christmas Tree Ornaments. 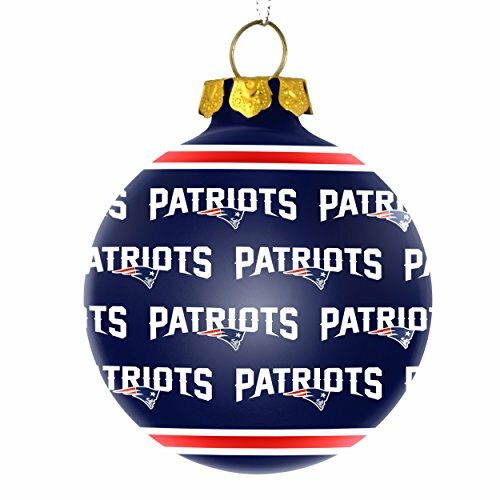 Will you be having a tree dedicated to Patriots ornaments? Maybe you just want to display a few special ones. 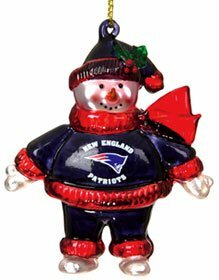 If so, scroll to the bottom of the page and check out some ornament display stands. 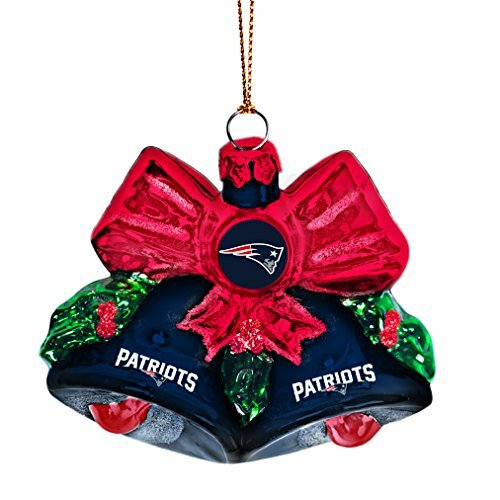 New England Patriots Christmas ornaments make super gifts for Patriots fans. If you’ve drawn the name of a fan, your gift search is over! 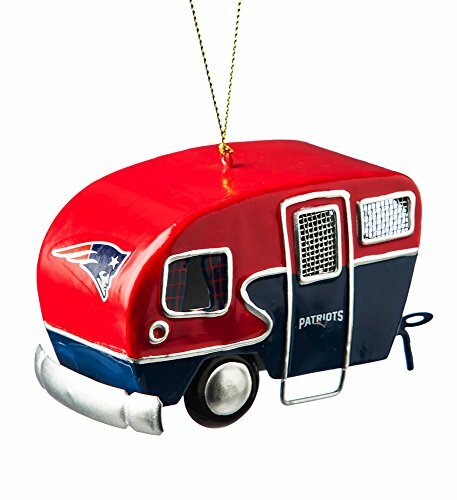 Decorating with Patriots ornaments is easy because the colors are red, white, and blue. 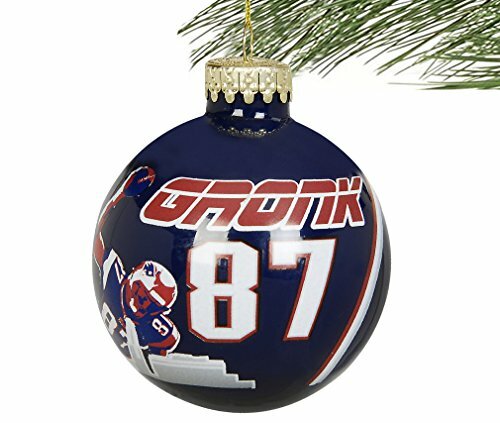 You can add red, blue, or white round ball ornaments as well as garland in any of the same colors. 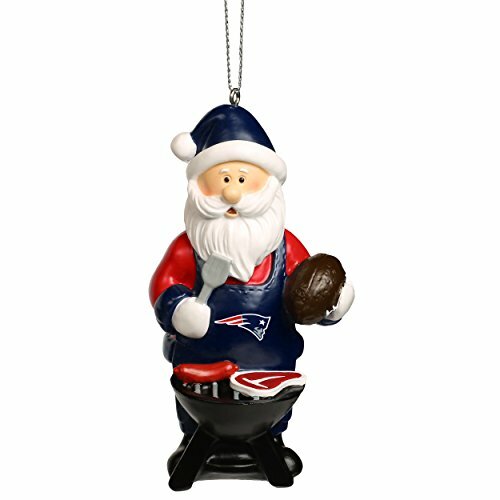 It will look patriotic as well as representative of the Patriots! 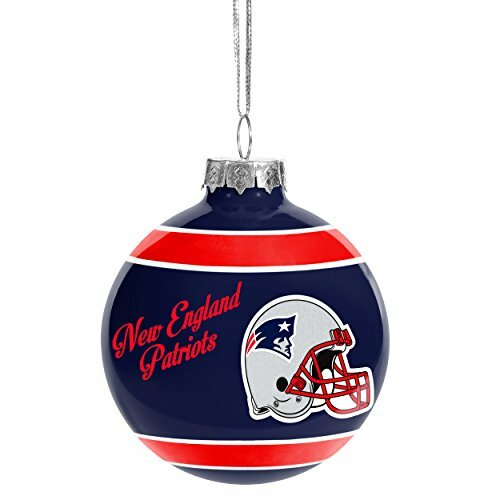 Here are beautiful globes of Patriots color for your Christmas tree. 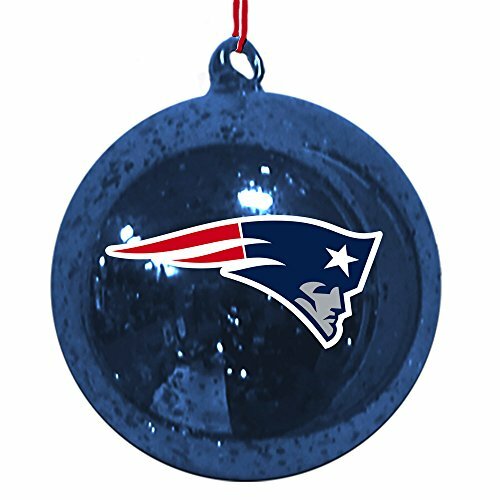 The tinsel ball made of clear glass and filled with red and blue mylar ribbons is a great looking choice for yourself or for a gift. Same goes for the dark blue mercury glass ball with the shimmering surface. 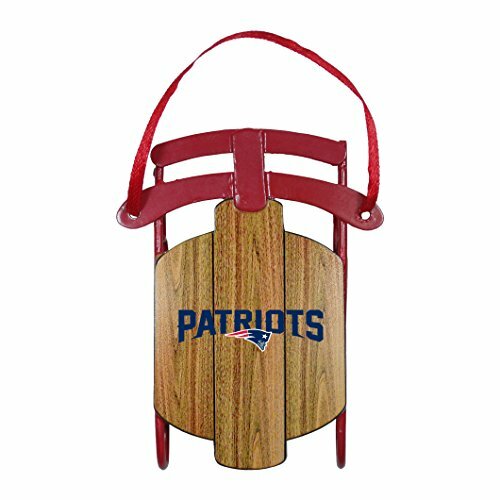 Both are emblazoned with the red, white, and blue Patriots minuteman logo. 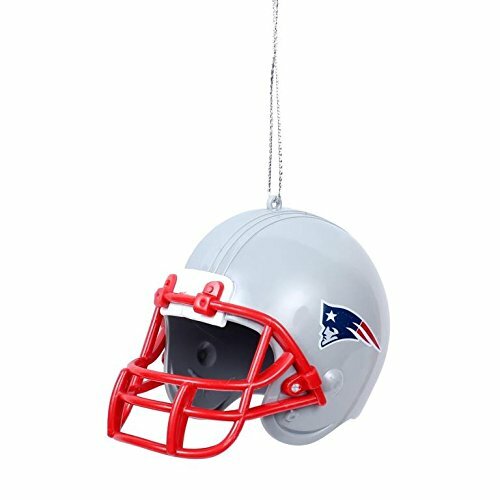 Christmas bells, a football helmet, and other Patriots themed ornaments can bring holiday cheer to your home this season. 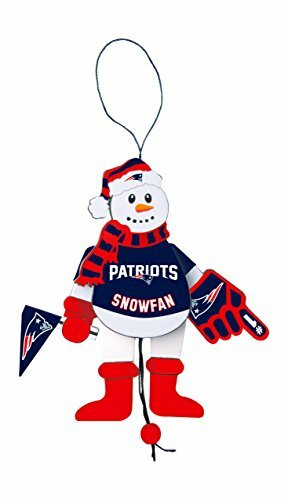 I like to show you some ornaments from an alternative merchant as these items are not usually available on Amazon. 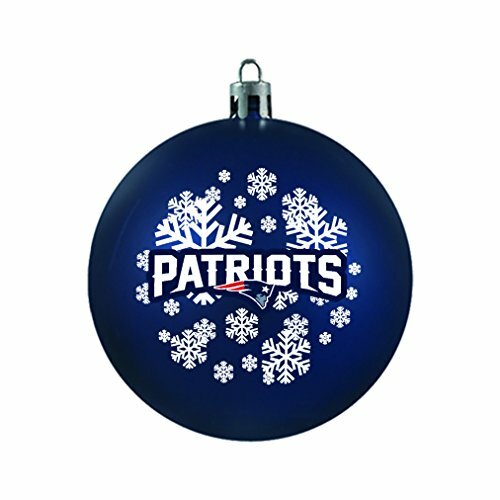 If you’re looking for something a little different, take a look at these excellent Christmas decorations from Fans Edge. 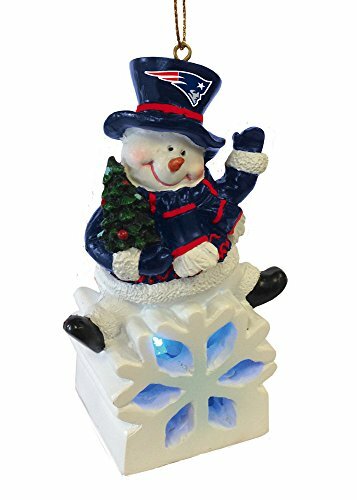 If you’re not doing a tree dedicated to New England Patriots Christmas Tree Ornaments, you might want to consider one or more of these display stands. 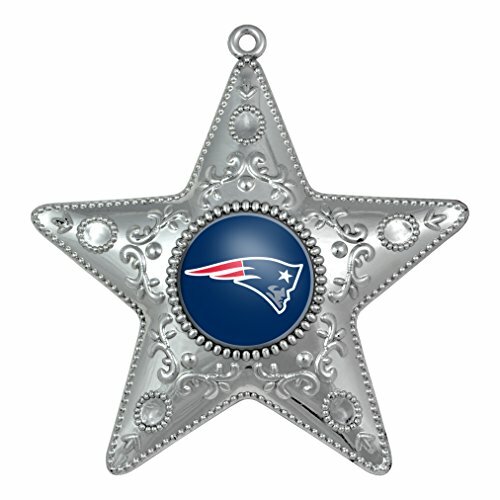 You can display just a few special ornaments and scatter them around the house if you prefer. 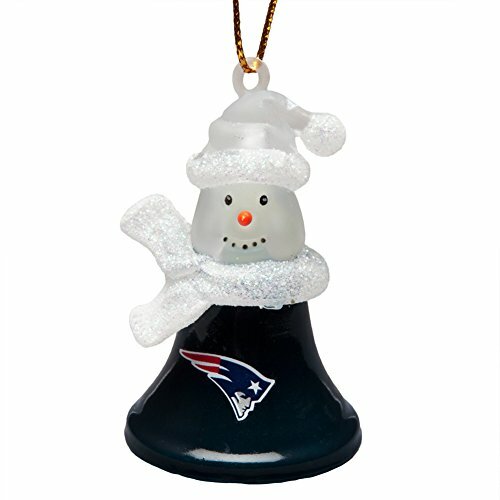 You can get one that displays just one ornament or one that displays fifteen. Put one on your desk. Put one in the kitchen. 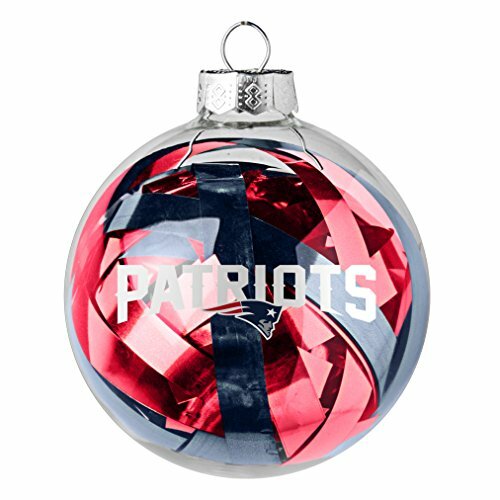 Put one wherever you’d like to have a little spark of Patriots holiday cheer.